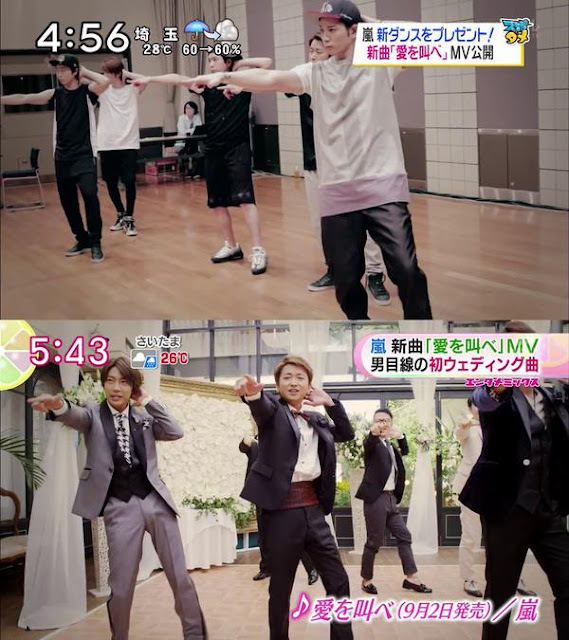 [MV] ARASHI SORPRENDIÓ CON EL AVANCE DE AI WO SAKEBE / ARASHI SURPRISED WITH PREVIEW OF AI WO SAKEBE ~ . 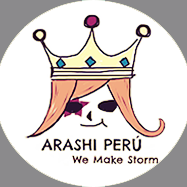 Y ARASHI siempre sorprendiendo a sus fans y en esta oportunidad soltaron un avance de su nuevo PV Ai wo Sakebe cuya temática fue una boda. Con un concepto parecido a la canción Sugar de Marroon 5, nuestros chicos de ARASHI sorprenden en una boda la cual fue una real. Ellos practicaron con el novio y sus amigos una coreografía para el día de la boda. La emoción de la novia fue tremenda al igual que el de los invitados. Riida ya había comentado con respecto al baile en Arashi Discovery y otros detalles del video. Ahora solo nos queda esperar al 2 de setiembre para contar con la versión completa. ARASHI as usual surprising their fans and in this oportunity they shared a preview of their upcoming song Ai wo Sakebe, the story is about a wedding. Similar to the video of the song Sugar of Marroon 5, ARASHI surprised a bride in her wedding while the groom is dancing with his friends. All this was already rehearsel previously with the groom. According with the information online, ARASHI really interrupted a wedding. You can see on the face of the bride that this is real. Riida already talk about the dance in the video in one of his Arashi Discovery. Now we have to wait for september 2nd to have the full video.